The outdoor nature of Jesus Green means that not all surfaces are level, but disabled access is readily available. We have a matted walk way from the entrance marquee to the food hall marquee. All our marquees have flooring throughout. The entrance doors have ramped access, although there may be some very small ridges to negotiate. A matted access route is provided to the toilet facilities for disabled visitors. 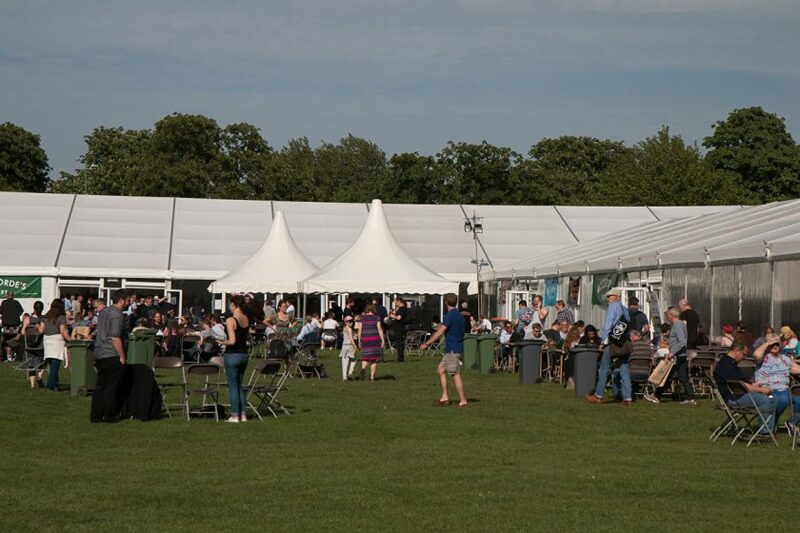 Assistance dogs are most welcome, and like other dogs are allowed into the food and bar marquees – although please do take care, especially when the site is busy. Pass-outs from the site are available to allow your dog to answer the call of nature. If you would like assistance at any point please ask a member of the stewarding team (distinguished by their bright yellow clothing) or any other volunteer for assistance. If a request is made in advance, a volunteer can be assigned to help you throughout your visit, please contact us to discuss your requirements.